Book your Dhow Cruise Dubai marina with Sunset Desert Safari. 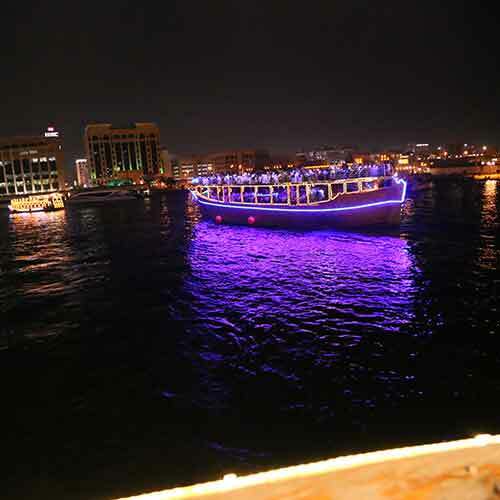 We also organized private Dhow Cruise Dubai functions, like birthday, engagement, theme parties and much more. Fully Air Conditioned lower deck & open-air upper deck. Background music (English, Arabic, & Hindi). Separate Toilet facilities men and women. Beautiful View of Palm Jumeirah, Atlantic, and Burj al Arab. Here we were given you the 5* Dhow Cruise Dubai Marina which is a traditional boat made of wood. Which is prevalent in Dubai. It has used for long for trading and commerce. Dhow Cruise Marina also used for Pearl Diving in seas. Marina Cruise Marina is heritage boats which have a rich semblance of culture and olden architecture with facilities like background music and a variety of food items cooked to fulfill the appetite of the esteemed tourists. Dhows are an iconic mode of sea transport and form an integral part of the history of the Middle East. A lot many Dhows have been refurbished in the past couple of decades for tourism and entertainment. 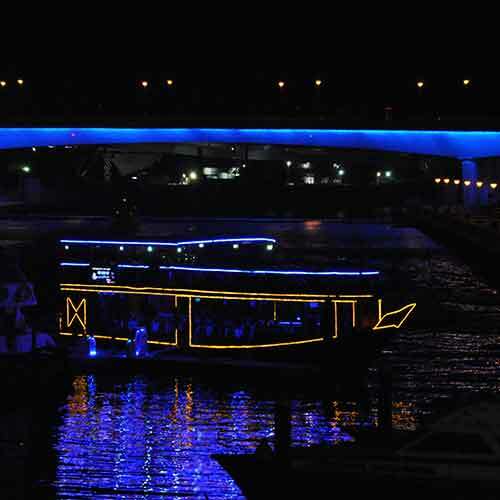 The modern shows are used for a different purpose now, and instead of indulging in trade and commerce, they act as floating restaurants in and around Dubai. 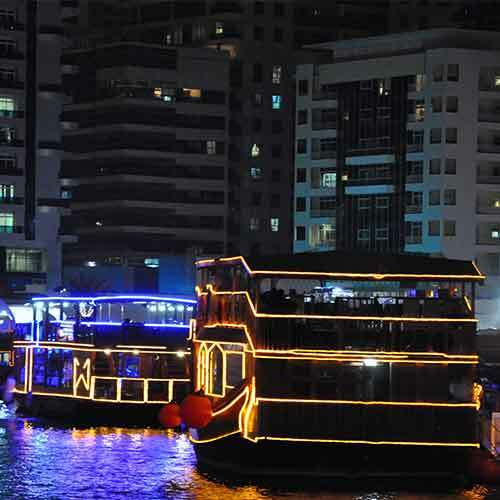 Dinner Cruise in Dubai is very popular, and Dhows make them all the more glorious and defining. It has now become iconic tourism in Dubai. 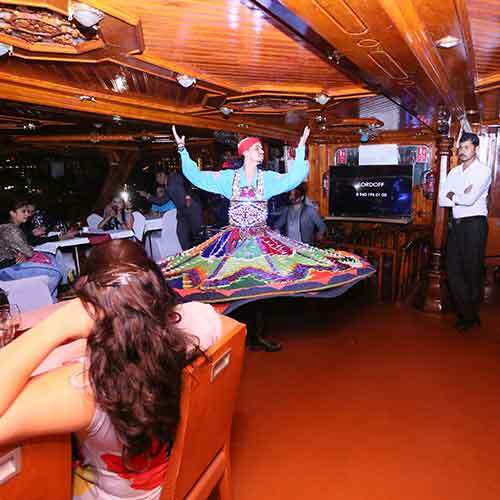 Dhow Cruise Marina Dubai is known to have live entertainment on board in various forms and structures. 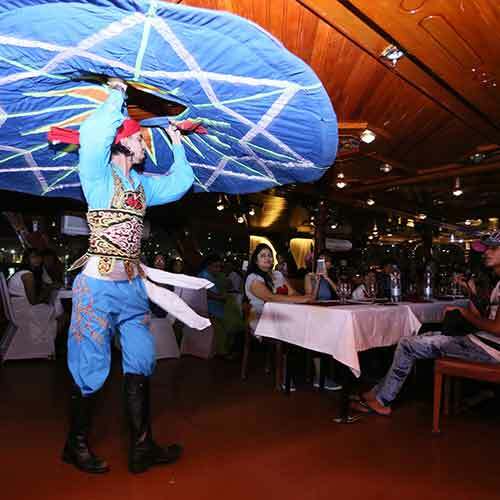 Live Performances like ‘Magic show‘, “Tanoura Show,” which is a form of Egyptian dance performed by men has become one of the intrinsic features of these trips. The spinning dance makes for a beautiful sight when these dancers in shining dresses perform this fine art live. 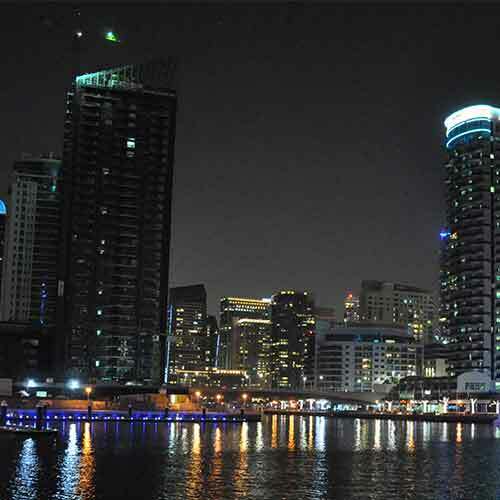 Marina is a new area in Dubai developed especially to entertain international tourists. Dubai Creek has been treating the tourists since the last two decades, but Dhow Cruise Marina is catching up fast and proving better in many cases than the previous form. The Dhow Cruise Marina entertains the higher end customers with better facilities and improved hospitality. Dhow Cruise Marina Dubai offers the tourists a varied pleasure option. Once traveled on this, the memories remain for the lifetime. The Venetian Styled canal city brings to the fore the awe-inspiring sights and beautiful landmarks of Dubai in the new light. It also has a two-mile stretch of the Persian Gulf has some of the iconic structures of Dubai. 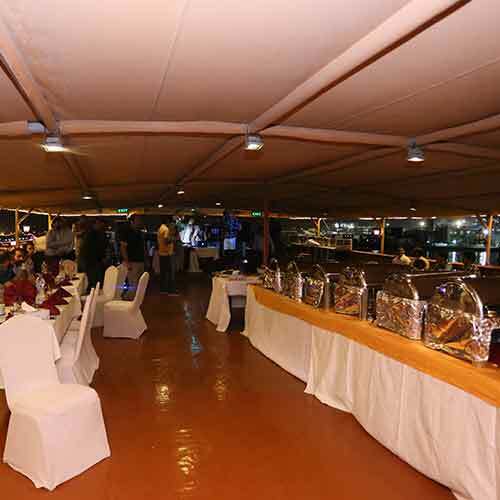 At Dhow Cruise Marina Dubai, you can experience a romantic ambiance while sailing and dining aboard. The tourists get a welcome non-alcoholic soft drink on arrival. Each trip is of around two hours duration, and the tourists get to choose from the delicious Asian and another International buffet dinner with unlimited soft drinks, tea, and coffee. Soft songs in Arabic, Hindi, and English keep on playing in the background giving a feel of the new world. 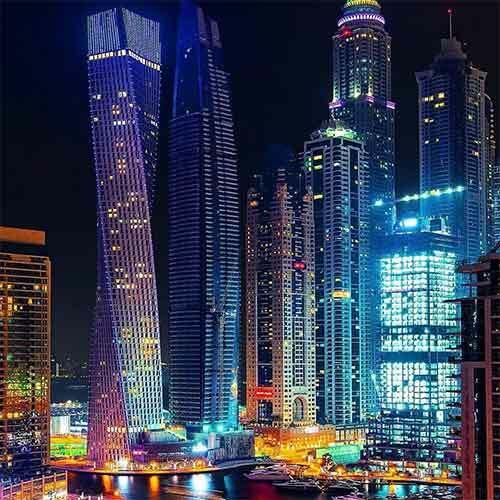 Dubai Marina Cruise Dinner is a thrilling and exciting experience which enables the tourists to see the stupefying skyline of the glowing city of New Dubai. The soothing music supplemented by the fantastic dinner makes for an exquisite environment. The pleasant breeze while on board is altogether very different experience in the otherwise hot and humid desert environment. The place is safe and secure and would allow you to enjoy your time on the Dhow without any concerns.